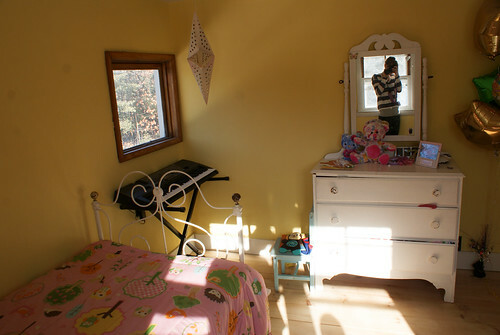 Our 4 year old's room is the first room that we've fully overhauled. Well, almost. But the transformation is amazing! 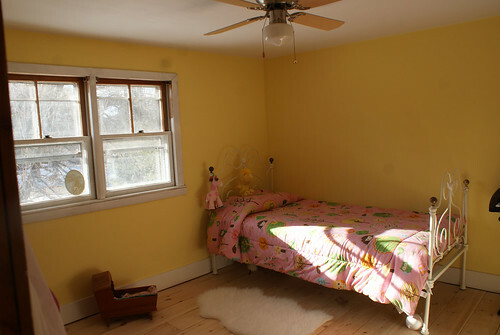 I don't actually have a true before picture, I guess I forgot to bring my camera, but when we moved in this room had pink, old, yucky, stained carpeting. 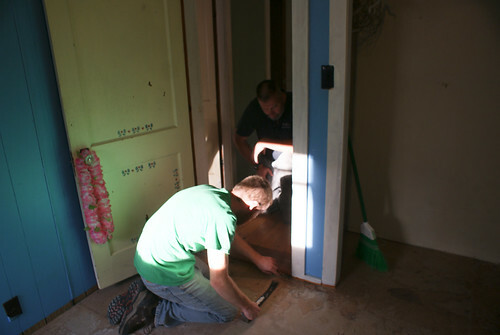 The floors are down. 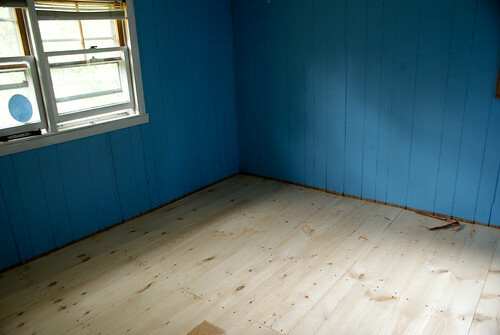 But the walls are still wood paneling that had been painted blue. 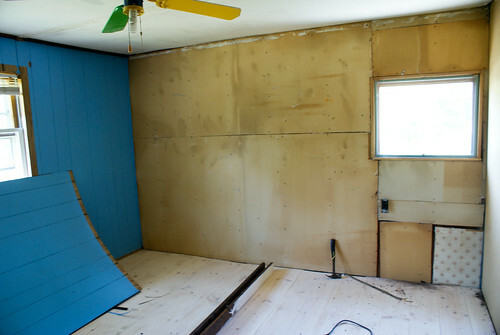 Ben pulled the paneling off and voila! 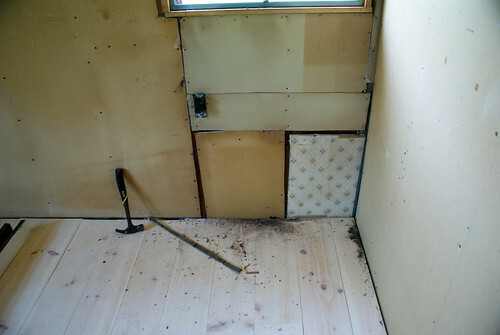 There was a mishmash of drywall! 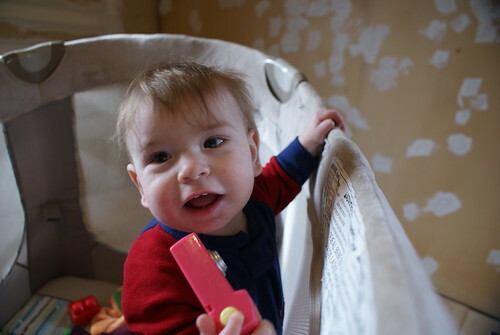 If we had it to do over again, probably new drywall would've been purchased and hung. 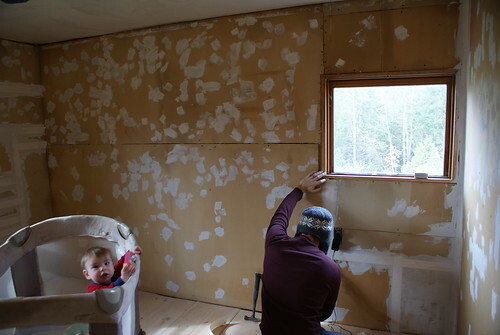 But instead we decided to mud and tape all the seams (Ben did) and patch every.single.little pin hole. And there were a lot. I now understand why my dad never wanted us to hang posters growing up. Jeesh. It took so much mud. And time. There was frustration. But just look at the result! 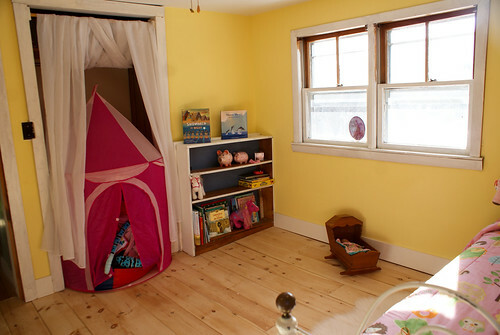 I think this room is perfect for our little Z. The antique bed and dresser were mine as a little girl, as well as the doll cradle, built by my dad. We still need to apply a clear coat to the floors, but aren't they amazing? 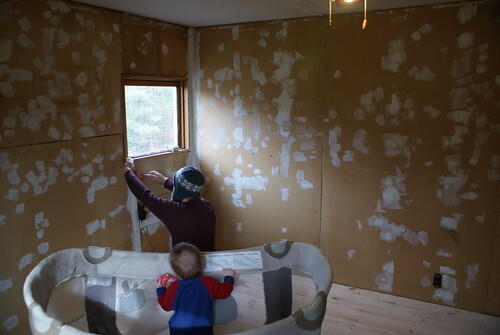 The trim needs a coat of paint and really, the windows need replacing, but we're just taking things a little bit at a time. One thing I'd really love to make for her room is a quilt for her bed. I just need to find the courage to jump in and purchase all that fabric. And promise myself that I would indeed press on and finish it. One room at a time we're making this little house our own.